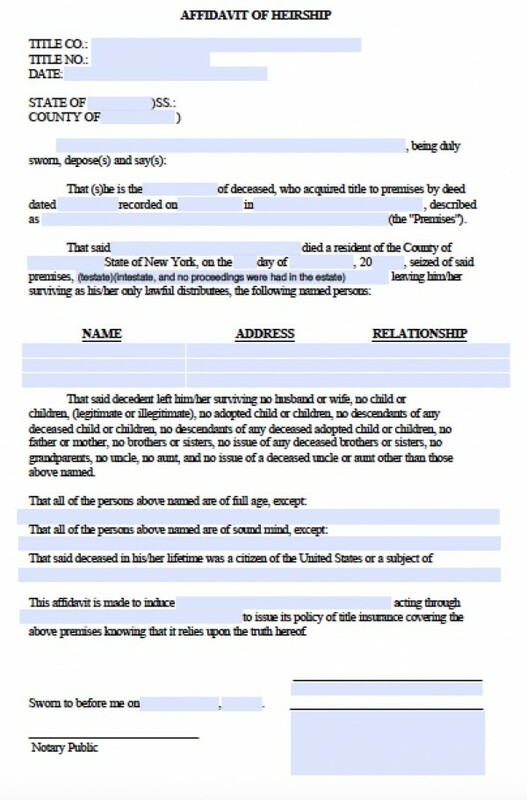 In New York state, a surviving spouse may file an affidavit of heirship to collect up to $30,000 of the loved one’s estate. However, the affidavit must be filed with the state’s probate court so that a judge may distribute some of the private property, such as bank accounts and trusts, among other heirs, including children and creditors. Creditors and certain relatives may collect up to $15,000, based on entitlement. However, if the affidavit of heirship is filed 6 months after the decedent’s passing, then relatives and creditors can only receive up to $5,000. 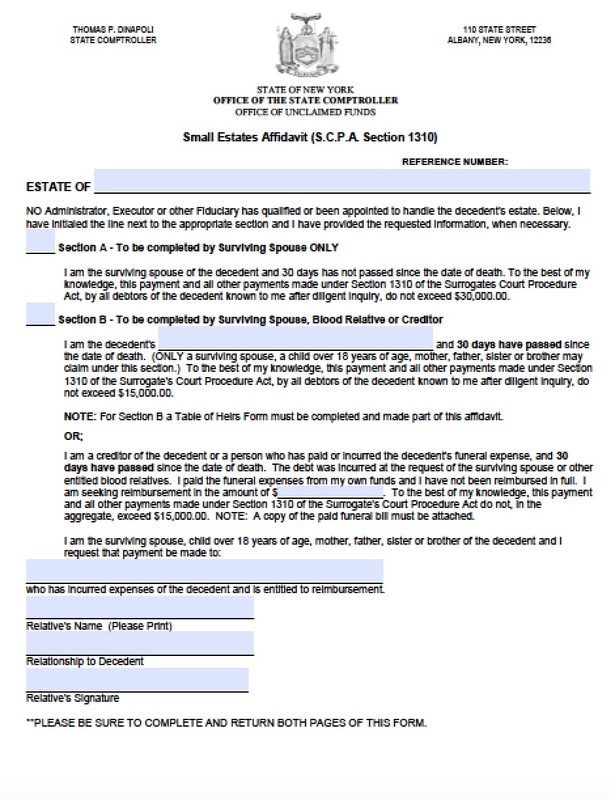 The affidavit of heirship is governed by SCPA 1310.